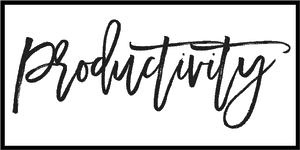 I think we can all agree that money (or lack thereof) is one of the biggest stressors we deal with day to day. 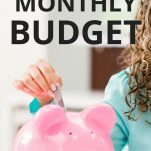 Way too many people are overspending every month, but the idea of creating a monthly budget seems overwhelming. And so we just stick with our unhealthy financial habits, maybe even relying on credit cards and creating additional debt. Trust me, I’ve been there. It’s a way too common problem these days. 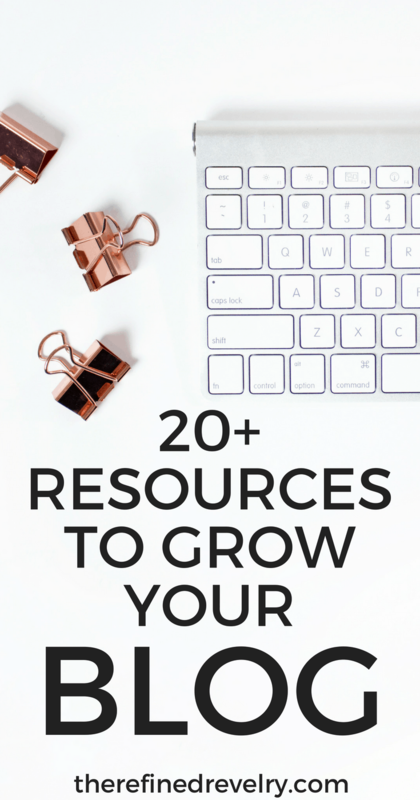 But creating and sticking to a budget does not have to be overwhelming. It doesn’t have to be scary. It is 100% doable. 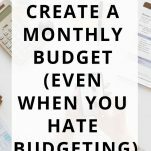 In this post, I’m walking you through how to create a monthly budget, even if you’re a beginner or hate budgeting. In order to create your monthly budget, you first need to figure out what your monthly income is. For some of you, this will be easy. Maybe you’re a salaried employee without any side income, in which case your income is the same every month. 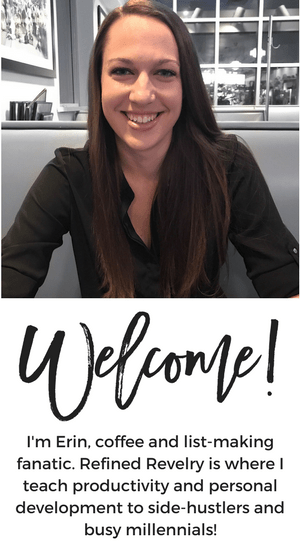 But if you’re an hourly employee, a tipped employee (such as a server or bartender) or are self-employed, this will be a little more difficult. If you have an irregular income, create your budget with the minimum amount you make every month. If you budget more than that, there may be months where you don’t have enough to cover your expenses. If you’re married and have joint finances with your spouse, make sure to incorporate their monthly income into your calculation as well. Next up, make a list of your fixed monthly expenses. Fixed expenses are those that are the same every month. This would include rent or mortgage, insurance, cable and internet, student loan, car payment, etc. 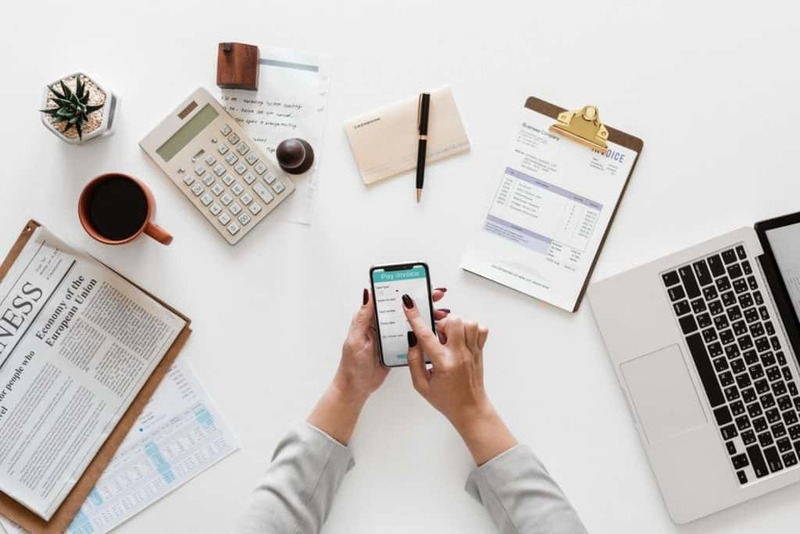 It’s important to plan for these expenses first because then you’ll have a better idea of how much money you have to allocate for the rest of your expenses. Once you’ve figured out your income and fixed expenses, you know how much money is left to put toward variable expenses. In order to really figure out how much you want to spend in each budget category, I think it first makes sense to figure out how much you’re currently spending in each category. These are just some examples of categories you might have in your budget. You can customize them to fit your lifestyle. By doing this, you’ll get a good idea of where your money has been going, and which categories you spend the most on. I recommend going back at least three months to really get an idea of what an average month looks like. If you’re feeling really ambitious, go back even further. 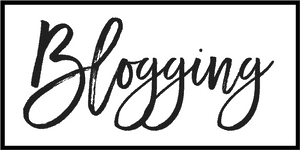 The first time I put together a monthly budget, I went back six months and it helped me put together a really good picture of my spending habits. Now that you know how much you are spending, it’s time to figure out how much you want to be spending. I’m guessing there are quite a few areas in your budget where you could be spending a lot less than you are. 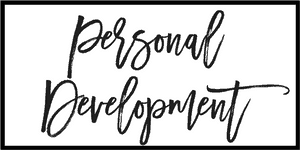 For example, when I created my first monthly budget, I was shocked to see how much I had been spending on take-out! It became immediately clear that I needed to cut back big time. Another area that I was spending a lot without realizing it was on books. Every time I ran to Target, I would pick up a book or two. It didn’t seem like a lot at the time but sure added up to a lot. Groceries is another area that, if you haven’t been paying attention to how much you’re spending, there’s a good chance you’ve got room to cut. You can also look for substitutions you can make, such as switching phone companies or getting rid of cable and sticking with Netflix or Hulu. There are a LOT of people who wait to see how much money they have in the ban at the end of the month, and then decide if they are able to throw a little in savings. The problem here is that might be a lot of months where you aren’t putting any money in savings at all. Instead of just saving what you have left at the end of the month, start budgeting the money you’ll save and making that your first payment after you get paid. I have an automatic transfer from my checking account to my savings account the day after I get paid every single month. Even if you aren’t saving for something specific, it’s important to have an emergency fund. There have been a lot of studies that show most American families don’t even have enough in the bank to cover a minor emergency. You definitely don’t want to be in that situation. While you’re creating your monthly budget, it’s important to factor in how much money you want to put toward debt. It might be tempting to just pay your minimum monthly payments, it will take you a lot longer to pay off that debt, and you’ll be spending a LOT of interest. One debt payoff strategy a lot of people use is called the “snowball method”. This means paying your minimum payments on all much your small debt, and you put as much money as you can on your smallest debt. Once that smallest debt is gone, you take all of that extra money and put it toward the new smallest debt. And then ideally, once you’ve paid off most of the debts, you’ll be able to put really large payments on your largest debt. Once you’ve created your monthly budget, it’s important to track your spending to make sure you’re actually staying on track. Otherwise, the budget is useless! There are plenty of monthly budgeting apps you can connect to your bank account to track your spending. Some examples of these would be Mint and You Need a Budget. You don’t need an app though. For many years I just used a spreadsheet and tracked each transaction manually. This is definitely more work, and now I use an app to track my spending. As you’re tracking your spending, check in often throughout the month to make sure you’re staying on track with your budget. That way if you get off track with your budget, there’s still time to get back on track. Once you’ve set up your budget once, you’re not done. A lot can change with your finances. You might have new financial goals come up, such as wanted to splurge on a vacation or start saving for a house. 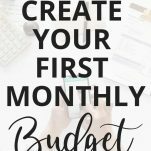 You also might create a budget and then within a few months, realize there are certain categories that need some tweaking. 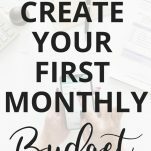 Creating a monthly budget might seem overwhelming, but I promise it will get easier as you get the hang of it. And even more importantly, you will be SO glad you took the time to set up a budget, and you’ll love the financial benefits you start to see. Budgeting will go a long way in helping you to start saving money, pay off your debts, and reach your long-term financial goals.